This week on the evening of 19 November 2018, we lost our dear friend and colleague, Stephen Tyreman. Stephen was involved in the CauseHealth project since the very beginning and will be missed deeply. In the spring, we will organise a final CauseHealth event in his memory. When I first met him in the autumn 2014, Stephen described himself to me as ‘primarily a practitioner with an academic interest in philosophy of healthcare, particularly in embodiment and the key role he believed our physicality plays in perception and the sense of who we are’. Since then, we have been lucky to have him as a CauseHealth collaborator. 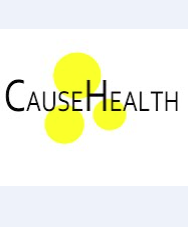 His expertise and focus on patient narrative, human agency, function and medically unexplained symptoms are at the core of the CauseHealth project. Sadly, his illness prevented him for attending our recent events, but we will continue to engage with and develop his work on person centered healthcare. Stephen will be remembered for his gentle manner, kindness and wisdom.